Majora’s Mask: Why Is It So Popular? Majora’s Mask is a Nintendo 64 game that has long lived in the shadow of its predecessor. Majora’s Mask never had a chance to step into the limelight – Ocarina of Time always captured gamers’ interests more. 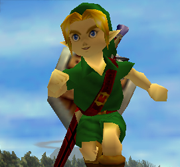 But recently things have taken a turn in favor of the N64’s second Zelda game. Majora’s Mask was under-appreciated until maybe a year or two ago. Nowadays Majora’s Mask seems more popular in large gaming communities. So why all the love now? Maybe it’s because we eventually realized Majora’s Mask’s true brilliance. Perhaps its release on the Virtual Console is what sparked us to experience it all over again. It seems that even in 2007 and 2008, Ocarina of Time was still considered the best Zelda game and the greatest game of all time. While Ocarina of Time generally still reigns as the greatest game to ever grace the industry, how come Majora’s Mask is now seen as a better game than Ocarina of Time in more instances than before? It seems that Majora’s Mask’s release on the Virtual Console release breathed new life into the game. It finally grasped the interest of Zelda veterans and let them analyze the adventure all over again… and since about roughly that time, Majora’s Mask’s popularity has skyrocketed. Below are a few examples of how Ocarina of Time was dominant during the pre-2009 era. 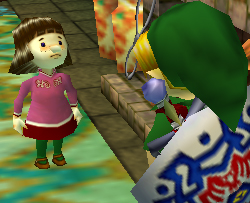 Further down will be a few examples of Majora’s Mask’s new dominance over Ocarina of Time. As we now realize, Majora’s Mask has become more and more popular amongst fans of all ages. From Zelda Universe to Zelda Dungeon and even to IGN, the new love for Majora’s Mask is widespread and may continue to infect the gaming world like a virus. Below are just a few sources that show us how gamers’ opinions of Majora’s Mask have changed over the years. Majora’s Mask has never been as universally loved as Ocarina of Time. Majora’s Mask is not seen as the superior game, it is not seen as a revolution in the world of gaming, etc. Ocarina of Time changed the game – it was so perfect, so innovative, so fantastic. These are some mighty big shoes to fill for a sequel, and although Majora’s Mask fit these shoes quite well, not many noticed or cared because Majora’s Mask wasn’t a “revolution” in gaming like its big brother. But of course we see a trend now – communities are softening up to the creepy world of Termina and embracing the game with open arms. A few members around our Zelda Dungeon forums have a few things to add to the subject. They were asked a few questions about which game they liked better and why they liked or hated it. Summary: Right now I like MM better, but only because I’ve recently gotten to a point where I could understand the story and beat the game. Summary: I don’t really have a favourite out of the two, it changes from time to time. Summary: I do like OoT better, actually. However, MM has a greater degree of character-fleshing for the NPCs/better character development/some more interesting characters. Summary: I don’t see [Majora’s Mask] as underrated or even much of a “black sheep” as a lot of people think. I see it as an experiment in story telling that worked wonderfully. Summary: After long thinking, I’m going to say Majora’s Mask. No longer were you just saving some princess, but a community of people. [Ocarina of Time] was more to beat the dungeons and win. Summary: It’s time that I said something about Majora’s Mask as well. I purchased Ocarina of Time and Majora’s Mask at the same time for the Virtual Console on mid-2010. I felt that I should play Majora’s Mask first just to try out the inferior game before the better one. This is always my mindset – entertain myself with the slightly different game (however that term may be applied), and then move on to the “superior” of the two. I changed my mind shortly after that and instead tried to tackle Ocarina of Time first. Needless to say, I was bored beyond belief and moved on to Majora’s Mask. I ended up having a taste of Majora’s Mask’s addicting gameplay. Slowly but surely, my life was being consumed by Majora’s Mask and its thrilling sidequests. Racing against the clock was a thrill. Transforming from Link into a Zora was a thrill. And most of all, collecting masks, helping NPCs, obtaining heart containers and defeating gargantuan dungeon bosses was very, very addicting. I had played Ocarina of Time for only a little bit of time before I completed MM, and only after I finally beat Majora did I actually return to Ocarina of Time. In short, MM was just the more interesting game, and for that reason I couldn’t resist playing it. These kind members of Zelda Dungeon have made it abundantly clear that Majora’s Mask is the superior gaming experience. Cooldogs_1 even stated that he liked Ocarina of Time better in the past, as did most of the members I interviewed. The full interviews for this article are shown here. According to these ZD members, Majora’s Mask was the better game because it was more in-depth. The characters, sidequests and story were far more intriguing than Ocarina of Time’s. Therefore most have concluded that Majora’s Mask is superior – not in quantity, but rather in quality. I for one am glad that Majora’s Mask is being recognized as the best Zelda game by many. Back in the day, no one took Majora’s Mask that seriously – it had only sold 3 million copies, a record low for Zelda games at the time. Ocarina of Time had sold over 7 million copies, a record that would remain for all Zelda games. What’s more, the aggregate review score for Majora’s Mask was only 91.92% on GameRankings. Meanwhile, Ocarina of Time had the honor of sporting the highest score on GameRankings… but GR wasn’t the only aggregate review site where Ocarina of Time took the top spot. In fact, most websites like GR had Ocarina of Time at the very top of the list, making it officially the highest-rated game ever with a score of 97.48% on GameRankings. We can still clearly see Ocarina of Time’s influence on gaming. It was voted Best.Game.Ever 2009* and is still ending up at the top of just about every list of the greatest games of all time. Majora’s Mask isn’t that far behind and catching up, but the game still has quite a way to go before it reaches Ocarina of Time’s popularity. Still, I can’t help but think Majora’s Mask is thought of as the better game nowadays. 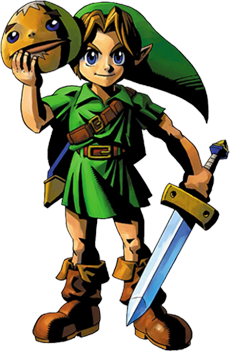 Ocarina of Time may be known as the greatest for being the most perfect game ever in 1998, but we all know that Majora’s Mask slightly zips ahead of Ocarina of Time when we actually analyze certain aspects and is arguably the better game. But was there ever really any reason why Majora’s Mask was necessarily worse than Ocarina of Time? Perhaps the reason Zelda fans all support Ocarina of Time so much was because it revolutionized the series. Majora’s Mask was just as good a game as Ocarina of Time, maybe even better. 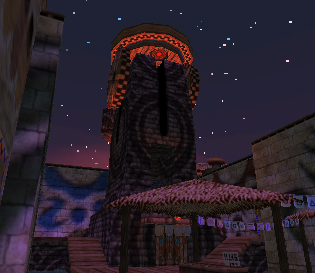 But no one held Majora’s Mask in esteem – instead it was seen only as a follow-up to Ocarina of Time. Nothing more. Nothing less. This is now just a thing of the past – Majora’s Mask is no longer the black sheep when compared to Ocarina of Time. It’s a marvelous adventure that has stood the test of time and proved itself to shine just as brightly as its predecessor. The cause for Majora’s Mask’s popularity is most likely the Virtual Console release which may have sparked new interest in the game. It gave gamers a chance to replay this masterpiece and helped them realize how brilliant Majora’s Mask really was. Gamers seem to have become more mature and finally appreciated Majora’s Mask. Perhaps everyone has finally gotten over Ocarina of Time. At one time or another, even the most revolutionary games of the last few decades must take a step back from the spotlight and let games like Majora’s Mask shine. Majora’s Mask no longer dwells in the shadows of its predecessor – of its own merits, Majora’s Mask is now recognized as a full-fledged adventure and a worthy addition to any Zelda fan’s collection. Even though it took a whopping 10 years, Majora’s Mask is finally universally loved. Many fans today still revere Ocarina of Time and see it as the unstoppable masterpiece it always was, but gamers today are finally starting to see Majora’s Mask not just as a sequel to Ocarina of Time, but an individual game that can hold its own against the “greatest game of all time”.